My post on the Blick Universal opened up a can of worms. 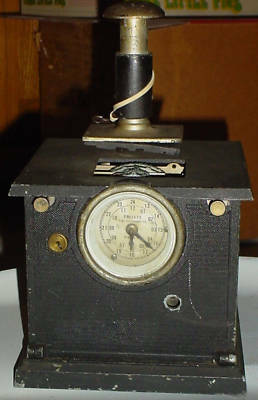 The worms included time clocks and wriggled all the way to the present day, with a company called Stanley Security Solutions, of Swindon, in Wiltshire, England, which incorporates Blick. Let’s start at the beginning. George Canfield Blickensderfer formed the Blickensderfer Manufacturing Company in Stamford, Connecticut, in 1893 and established two British branches in 1894-95. One was at 9-10 Cheapside, London. After Blickensderfer’s sudden death in 1917, the parent company struggled on for a few more years. But the London branch continued under the management of one George G.Rimington, about whom little is known. 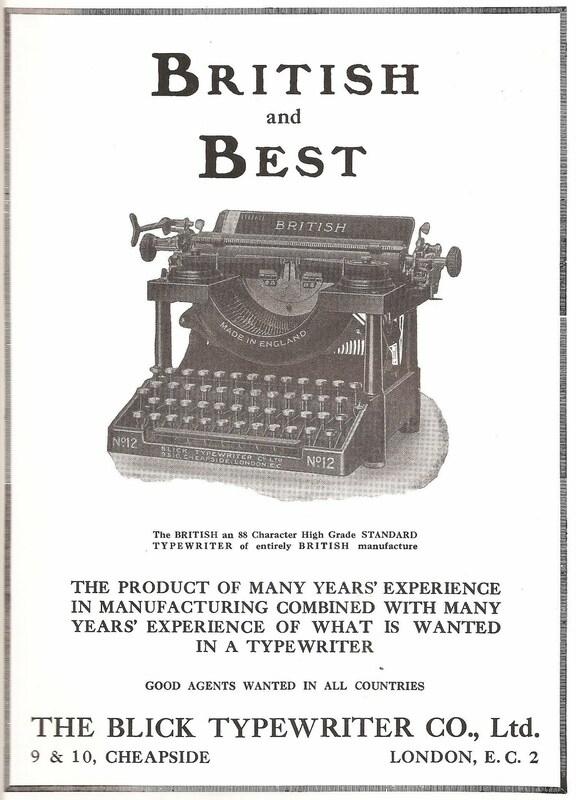 In his 1909 History of the Typewriter, however, G.C.Mares, mentions a J.M.Rimington as setting up the Newcastle-on-Tyne branch of the Blick company, registering it in 1904 as The Blickensderfer Typewriter Company. We do know J.M.Rimington had also owned an “Automatic Puncture Closing Band” company. George C. and J.M. Rimington may well have been brothers, or possibly father-and-son. Will Davis speculates that the British Blickensderfer company may have had the backing of the Stamford, Connecticut, headquarters. At about the time Blickensderfer branches were being founded in London and in Newcastle-on-Tyne (perhaps by brothers in each place), in the early to mid 1890s a British company called Salter - based outside Birmingham, almost halfway between London and Newcastle - had started making a down-strike typewriter which had been designed by a Londoner, James S.Foley. George Rimington took over the Salter Typewriter Company, at West Bromwich, in 1922, and by April 1923 the operation was producing a standard typewriter called a British. 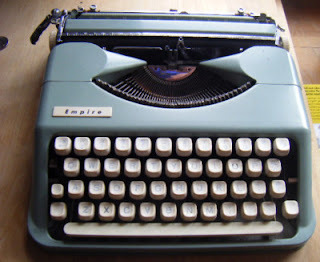 At that time the company was still known as the Blick Typewriter Co Ltd. In 1924, Rimington’s company began producing a typewriter called the British Empire. It appears that the operations of the Canadian Williams Manufacturing/Imperial Writing Machines companies had by now moved to England. 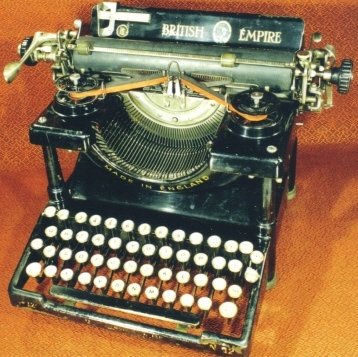 The former was set up by Andrew Williams in Montreal in 1863 and the latter originally owned by Charles Carroll Colby, of Quebec, with plants in Montreal and Plattsburgh, New York State, making Wellington Parker Kidder's thrust-action typewriter into Empires (below). The Imperial company had set up a London office in 1901, headed by George H.Bland, of Montreal. 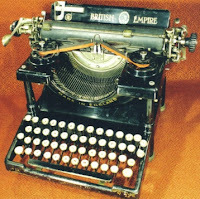 By 1929, Rimington’s company had become known as the British Typewriter Company and was producing the front-strike British Empire typewriter (the one pictured above is from Thomas Fuertig's collection) – then starting in 1935 a line which was to be extended right through from the Hermes portable variations to Coronas in the early 1960s. 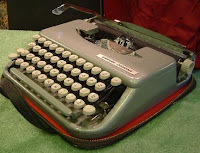 The line started when, under a licence arrangement with E.Paillard of Yverdon, Switzerland, the British Typewriter Co began making Empire Aristocrat portables which were identical to the Hermes Featherweight (later the Baby/Rocket). In 1960, the British Typewriter Co was entirely bought out by SCM-Smith Corona, resulting in a Zephyr-Skyriter offshoot and a seemingly hybird Hermes-Corona (below). 6. Providing another family link to early Adler typewriters. What a typewriter family tree! 8. Time clocks, and all sorts of other things. 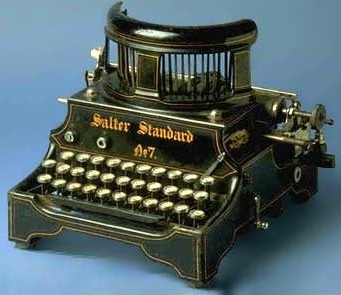 Rimington had explanded the Blick/British Typewriter Company into one also making time clocks. In doing this, Rimington was utilising the facilities he had bought at the Salter factory in West Brom, which had originally been built to manufacture springs for all types of appliances, including weighing machines and musical boxes (see the distinctive Salter trademark on the spring-loaded weighing device below). The Salter company had been started by brothers Richard and William Salter in 1760 to make springs and pocket steelyards (spring balances) in a cottage in Bilston. In 1770 they moved to West Bromwich. The company became George Salter & Co in 1824 when William’s son took over the business. 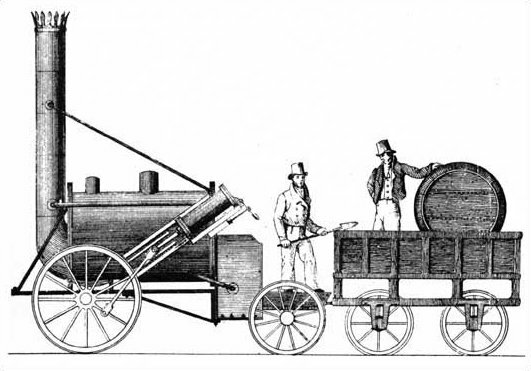 Salter springs were used in Stephenson's Rocket, an 1829 steam locomotive. By the middle of the 19th century, the company was making spring balances, vertical roasting jacks, musket bayonets, domestic weighing apparatus, steam pressure gauges and sad irons. In the 1880s it started making coin-operated public weighing machines as well as various food processing equipment, clothes washers, letter-clips, hat hooks and dynamometers. A factory was also opened in Berlin, in association with German firm Ubrig, which led to the development of automatic rotating display and vending machines. In 1917, the year of George Blickensderfer’s death, George Rimington visited the US and bought sales rights to a time recording machine called the Follett Time Stamp (invented by Wilbur Irving Follett, machine pictured above). In 1919 a subsidiary company was established called Blick Time Recording Devices. But the next year Rimington linked up with another British company called National Time Recorder and marketed National machines as the Blick National. In 1922 the subsidiary company Blick Time Recording Devices was established as an independent company under the name of Blick Time Recorders Ltd, and in 1927 the word National was dropped and the machines were redesigned and sold under the name of Blick. In 1963 Blick was taken over by Dufay paints, then in 1966 sold to Moor and Elliott, which set up Blick Time Recorder (Holdings) Ltd. It linked up with the like of Amano Corporation of Japan (1971), took over National (1972), and with various subsidiaries operated as Blick National Systems and Blick Communications. In 1982 it became Blick (UK) Ltd. In January 2004 Blick was acquired by the Stanley Works. It now has 100,000 customers, 3000 employees and 50 divisions. From typewriters to security solutions. Would the great George Canfield be rolling in his grave? Probably! 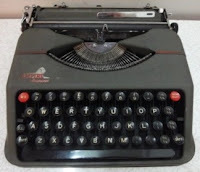 Yes, Ted, if you consider the British branch kept the Blick typewriter-making name alive all those years, and it made the Aristocrat, then the Blick and the Aristocrat are related to one another. Amazing! Very fine sleuthing on your part. I wouldn't have dreamed that the "Blick" name was still in use by any business in the world. I don't think George C. is rolling in his grave -- I think he's proud.